If you think the constant drip, drip, dripping of a faucet is just an annoyance, think again. Even a small leak can waste 200 gallons of water (or more) per month and drive up your bill. Stop pouring your hard-earned money down the drain, and let GT Campbell help with your needs for faucet repair and installation in Brighton, NY. In addition to being annoying and wasting a significant amount of water, leaky faucets can damage your home. Depending on where the leak is, it can result in water damage in your kitchen or bathroom. It may also facilitate the growth of mold and mildew. Leaks aren’t the only potential faucet problem, though. Faucet handles that are loose or fail to work like the should, rusty water coming from the faucet, and loose faucets are all common problems that plague many homeowners. 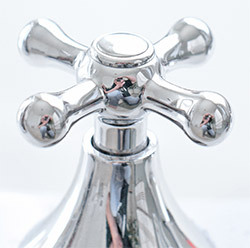 At GT Campbell, our plumbers in Brighton NY are equipped to solve just about any type of faucet problem. And many of these problems can be solved without replacing the fixture. When you want to have an old faucet replaced or you need to have one installed in a brand-new bathroom or a new prep sink in your kitchen, it’s important to ensure that the job is done right. Improper faucet installation can lead to a lifetime of headaches and frustration. At GT Campbell, we can install any type of faucet with ease, and when you trust us for the job, you can rest assured knowing that your new faucet will look great and last for years. When you need expert faucet repair and installation in Brighton, NY, we can help. Plumbing is all we do, and you can always count on us for honesty, quality, and affordability. To schedule an appointment, please contact us today.